How many lives do you think one child can touch? As Grace Johnson this question and she may not know the exact number, but she will be busy figuring out how to help as many as she can! 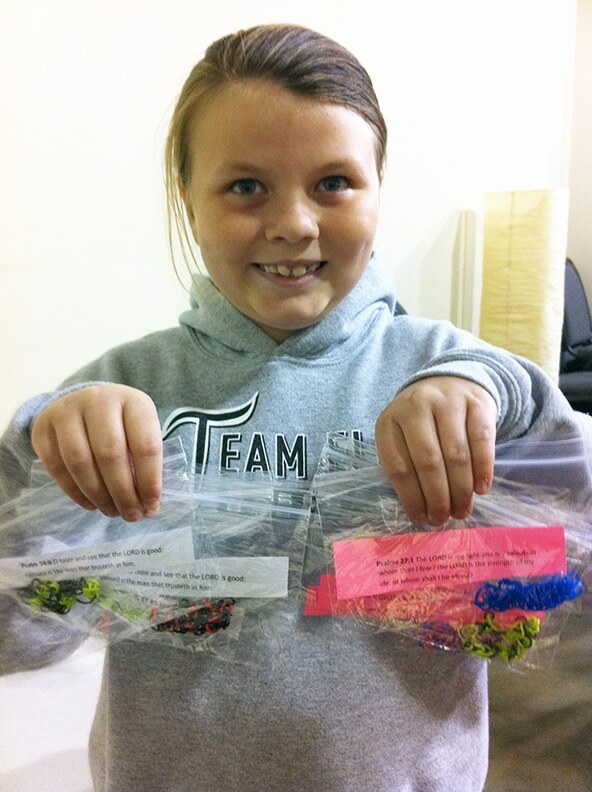 Grace holding up a few of the bracelets she made for our kids in Kenya. Grace loves making rubber band bracelets! She was determined to make an entire collection and then send them with Matanya’s Hope on mission to touch the hearts of the kids in Kenya. But Grace did not stop with bracelets! She copied a verse from the bible for each recipient, sharing with them a message of faith, hope and love. 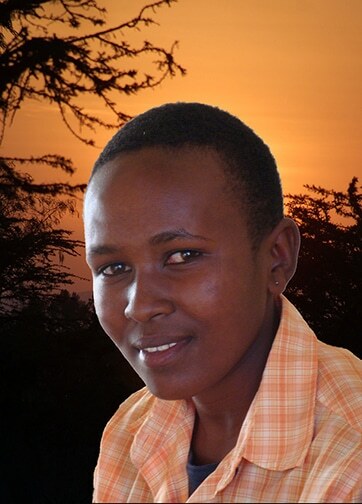 This entry was posted in Partners with Matanya's Hope on February 17, 2015 by Michelle Stark. My Name is Witness Niini Lesariko. 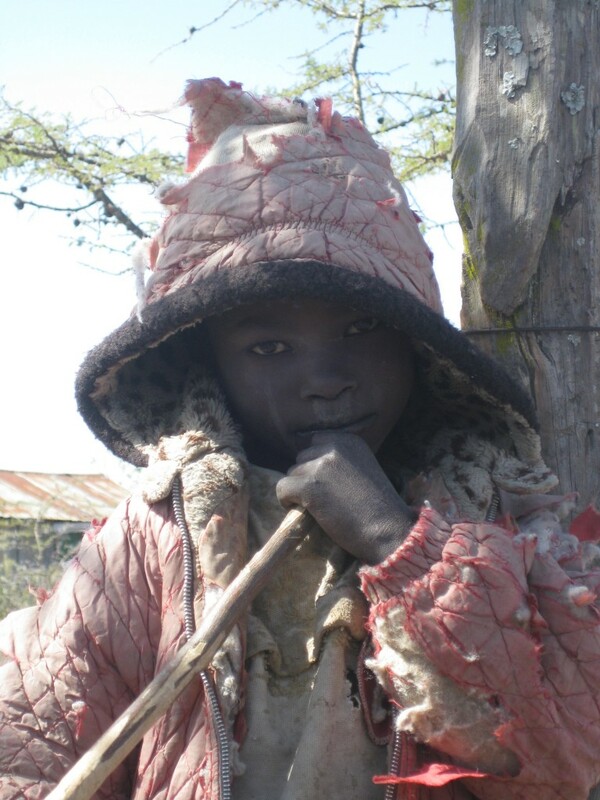 I am from Tanzania. Honestly, my life has been a blessing – a living testimony. I have loved how God has brought important people into my life. He uses us together for His purpose. These people are making it possible for me to go to school and that means they are helping me achieve my dreams. Before, I could only wonder if I would ever be educated. My dad ran away from home when I was 5 days old. All through I have never enjoyed dad’s love even to the tiniest bit. I have seen daddies who are everything to their little girls, but for me, I did not know mine. I simply have grown up to know my mother as the only parent I have. 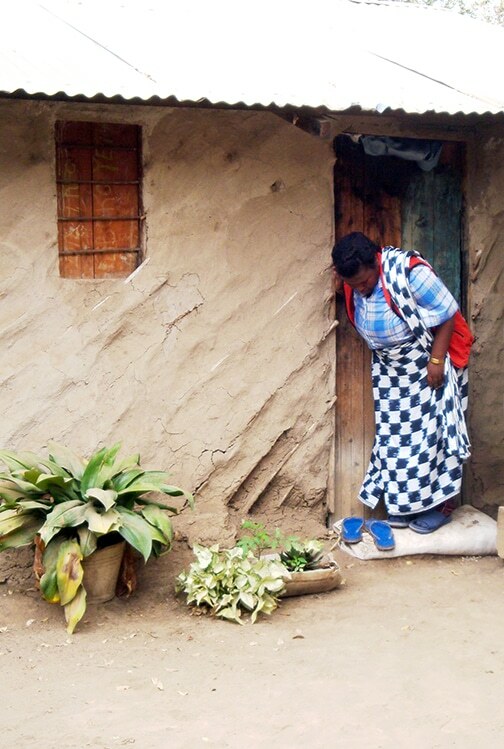 My mom standing outside of our mud home in Arusha, Tanzania in 2009. He left my mum with nothing to help us survive. My mum had to look for odd jobs around our home to get food for my older brother and me. This is not what a mum who has just given birth would be expected to do, but she just could not sit idle and let us suffer and cry. Little children don’t understand. It was not easy growing up with all these challenges. Nevertheless, through God’s grace we did manage to get where we are today. I studied for my entire primary school education in Tanzania and I joined high school there. I had to bear up with missing classes from time to time due to lack of school fees. The little money that my mum got was not even enough to supply us with two simple meals a day. The teachers were not keen on us missing and they would not allow us to make up the work we missed. But without fees, there was little choice. The schools sent us away. I devised some means of surviving in school. It became heavy on my heart because I was being dishonest, but it was all I could do by then. I would be sent home for fees but I never left the place. I would sneak back to class and keep avoiding my teachers. I knew they were tired of my excuses but I just had to be in class. I knew a good education was the only wealth I had and there was no way I was going to let the opportunity go just like that. Though I couldn’t understand then why this had to happen to me, I now know for sure that God had great plans for me – more than I could actually dream of. First, we had visitors to our school. They were students from the USA and our teacher assigned each one of us to partner with one of them. I got Talia. I could not speak English, not even a word, but I enjoyed her company so much. When the students left, many of them gave gifts to us, but I found a way to tell Talia I only want education. I will never forget the year 2009 – It is the year that God brought His angels in my life. 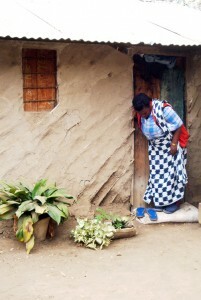 They traveled 17 1/2 hours, across Kenya and into Tanzania, only knowing that I lived in Arusha Tanzania…. and they came to find me. I could not imagine how anyone would do this great thing to another person. When I saw the car arrive at my school, my heart felt as if it was beating outside of my chest! I was really shaking. These angels from Matanya’s Hope had come all that way for me! 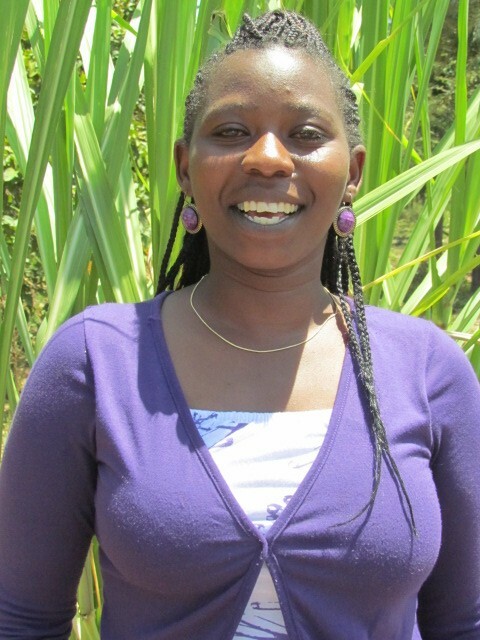 Matanya’s Hope has since transformed my life. 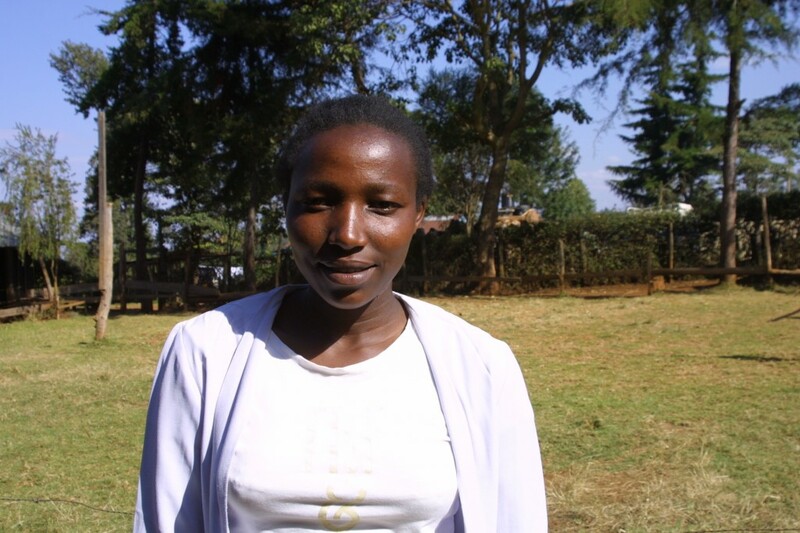 Erica – my sponsor has proved to be my heaven sent. I honestly do not know where I would be without her support. Being sent home from school for fees was never to be my reality again. Through Matanya’s Hope, I met many new friends from Kenya and the USA. GG is one who has imprinted my life; each mission, she teaches me poetry that makes me feel love and hope. She has shared stories with me that make me feel so alive. Yes. I should say this too; Kenya education standards are much higher than in my own country, Tanzania. In Tanzania, the curriculum is purely in Swahili while in Kenya, most of the curriculum is purely in English. I know it sounds funny, but I did not any English words. Not a single one – except for “hello”. It was a foreign language to me, but, I had to master it for the sake of my studies in Kenya. For the first few months, I could only stare at my books and pray and really cry. The entire world was foreign for me. It was not easy. Matanya’s Hope continued to encourage me. They promised me it would be like a flame; once I started to understand English, the whole world would feel brighter. Despite the pain, I believed too much in my dream; I never allowed myself to give up. The sun will rise and set and each day is a new day filled with the miracle of God’s love. Even when last year, God called my precious mum home. Matanya’s Hope surrounded me with love and many traveled with me all those miles to support me during the days of burial. During that heartbreak, my father tried to find me and marry me off, but I refused to entertain such silliness. I can tell you for sure I am a different Lesariko now….not the one Matanya’s hope found buried deep in the dust because of poverty! I am finding my voice as a girl and I am growing into a strong, determined woman. 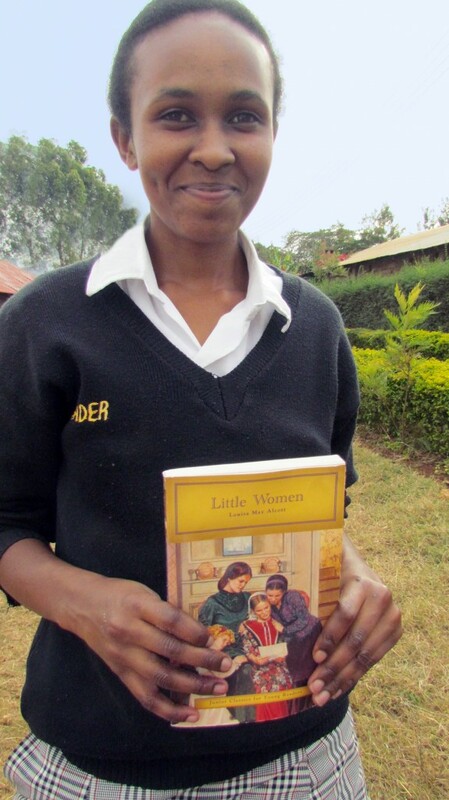 I will make a difference in this world and I will help others to do so, like Matanya’s Hope is helping me. I am in my fourth year in High school. As you can see, I can now speak English. I am still learning, but it is true; the flame is lit. I believe I am going to make it. I want to tell every one reading this that God is not a human being – even if all were to leave us, He will always stick with us. 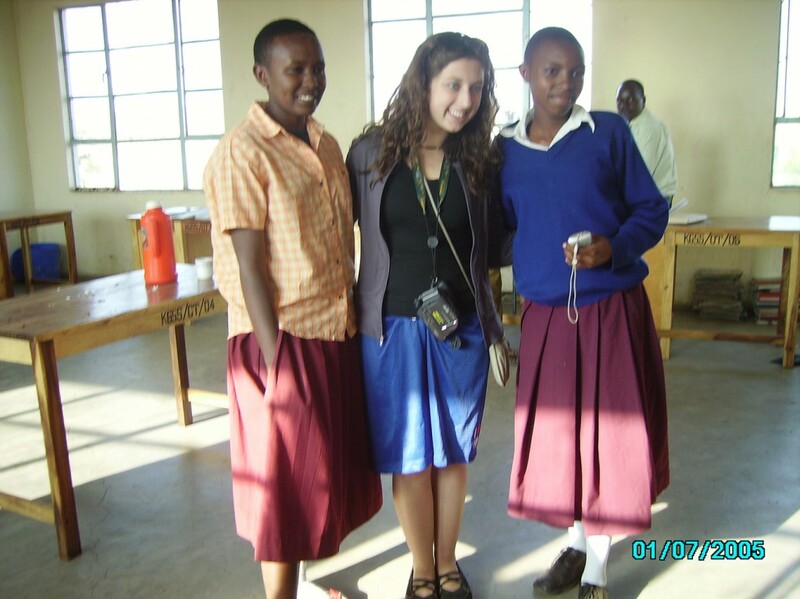 I wish to thank my sponsor Erica and Matanya’s Hope founder, Michelle Stark, for the incredible work they are doing. In addition, to all those who are sponsoring a child, please know it in your heart that your sacrifice is changing a life somewhere. I could have been married off long ago, and even last year, but now, I am the symbol of Hope through God’s hand and yours, through Matanya’s Hope. To Erica my sponsor, you are a great gift – my treasure. I adore you. To my mum, I shall honor you in all my days. 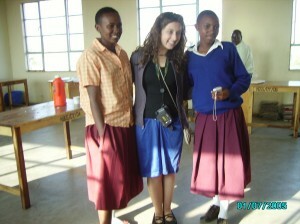 Me today at my high school in Kenya. This entry was posted in The Children on February 14, 2015 by Michelle Stark. I grew up in a small Kenyan village called Matanya in the outskirts of Nanyuki. The population meets the recurrence of dry spells every other planting season making our livelihood in agricultural activities a continuous trial. To get food was never easy. I was the fifth born in a family of seven siblings with four brothers and three sisters. According to our customs, a boy child is believed to be more valuable than a girl child. This is especially true when it comes to education and the disbursement of wealth. The myth behind this is that a girl will be married off and she will leave her family to go and join her in-laws while the boy will remain with his family and give them support. Upon the death of one’s parents, a girl could not inherit a single portion of her parent’s property. I was raised believing that my value as a human being was very much dependent upon this view. 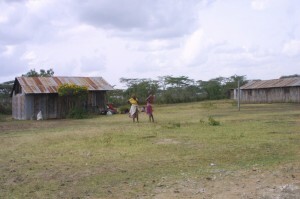 The few families of our village are spread out across the arid land. Harsh climate conditions deter others from moving near. There is no meaningful development in terms of infrastructure and government education is quite poor. 2001 marked my first encounter with the final examination for primary education (Certificate of Primary Education). My parents were struggling to make ends meet. I knew I would be unable to join high school; my parents would be unable to provide the required fees. I understood their predicament with ease. I was only a girl and I was accustomed to this. The bother was not much. Also, my older siblings were already in school and the financial load was heavy for my parents. With nothing but a class 8 education, I opted to look for a job. At least this way I could release the burden on my parents. 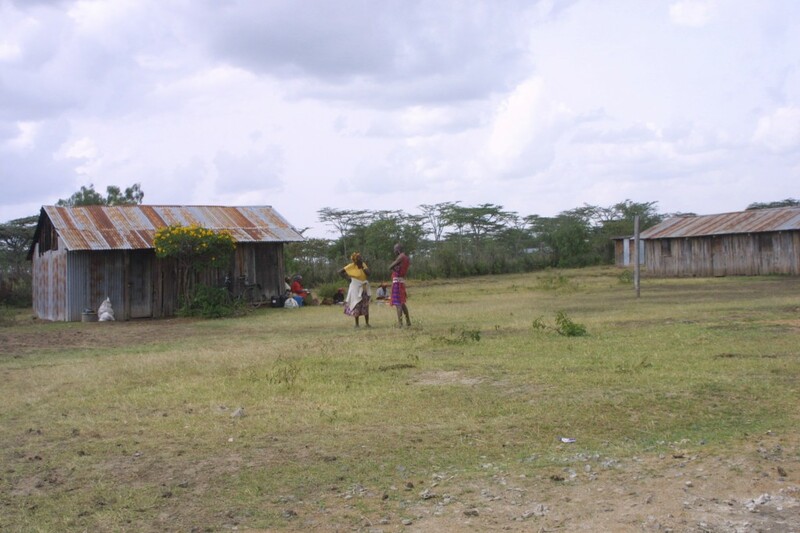 The only available job for the semi-illiterates in Kenya is that of house-help in a well-up family. I was lucky to find a position with a neighbor’s family friend in the city and I was welcomed and started working. 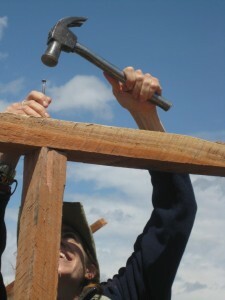 This job was a big challenge to me due to my young age. The children in that house were almost my age-mates and yet they did nothing to help themselves. I struggled every day to manage the job to the expectations of my employer. She was unkind and she took me as a slave and started mistreating me. She was a single mother with two daughters. She used to shout at me with furry, you would think that she would eat me up right there! I always had to say sorry with humility; I feared that she would beat me-up. The two daughters were thoroughly spoiled, they were big enough to do most of the things by themselves but the mother still demanded everything to be done for them. If I forgot to do something, she would scold me in her daughters’ presence as a way of humiliating me. She referred to me as a useless girl. As a result of this behavior, the girls formed the habit of scolding me bitterly, using dis-respectful language just like their mother. They used to tell me, “Lydia, you are our servant and you must do as you are told”. My employer rationed every morsel of food I cooked for the family and she ordered that when food was ready, she was the one to serve. The share I used to get was very little. Actually, it was even too little to sustain me, despite the fact that I had worked the whole day tirelessly! Her daughters were served heaping portions at every meal. I used to cry almost every day when I retire to bed. The only time I was happy was on Sunday mornings. She would allow me to take some hours off so that I could attend Sunday service in the nearby church. When I was in the church, I could forget her and the girls and this gave me consolation. It was as if I was living in another world when I remembered life back home with my family. After 5 years as a house girl, I decided to go back to school. After 5 years, I reached a point where I could not take it anymore. I was determined to pursue my education. I requested to go home and visit my family and from that time, I did not go back to resume my job. I decided to go back to school. Although most of my age-mates were married, I realized that with education I could accomplish my life-time dream. I was driven to succeed, to get a good job and to be able to help my family and other children like me. I want to encourage those who continue to be employed and mistreated in this menace of child labour in the name of house-helps in our country. Since so many years passed, I was not allowed to join high school, so in 2007, with the introduction of free primary school education, I decided to go back to primary school. When I told my parents, they were surprised and thought I was not serious; they kind of resented the idea. I was forced to approach a neighbour and family friend to intervene for me, who managed to convince them. They both agreed and I went back to primary school where I repeated class seven. I had to utilize my savings from the house help job to buy school uniforms, books and other items that were required to facilitate my admission. I worked very hard and my performance impressed both my teachers and family. When I sat again for the Kenya Certificate of Primary Education in 2008, I managed an impressive score. My parents economic position did not change and they were very worried about my joining secondary school. I was too. Little did I know that God had a plan for my future. 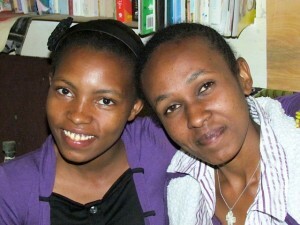 Michelle and Matanya’s Hope built a home for a very needy girl in our village. One day as I was sharing my problem with one of my school mates, she gave me information that there was an organization called Matanya’s Hope assisting the needy children from my area. I knew Mr. Mugo walked a long distance with my mum to his place. When we met, I told him my problems. He gave me a day to meet with Michelle Stark, the founder of the organization. It was not possible to meet Michelle on the day of our initial visit as she was very busy at a construction site, building a home for a needy girl in our village. We waited until late when the work was over. Finally I managed to meet Michelle whom I shared my problems with and what I had gone through in my life. Michelle promised me to try to assist me and true to her words she found my angel Debbie, my sponsor, who sent me to high school and now college. This is me when I first met Michelle. I was old enough to be married, but instead I was finishing 8th grade. When the sun rises, I no longer cry (as I used to when everyone was going to school except me). I became the first person in my family to attend high school and I attained a B-. This was good performance by any standards! After this, I didn’t want to stay in the village and get married-off like most of my classmates but I wanted to become a nurse, my life time dream! With the kind generosity of my sponsors, I am now in medical college doing nursing. If it were not for them, I probably would have been married off. 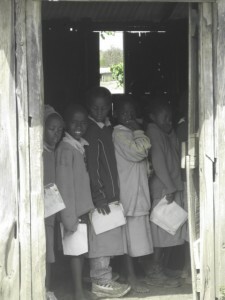 This is what our Kenyan girls face every day. Education is the key to success. It is hope and it empowerment. It is not free. Even in school, one must work hard and study well. They must know why they are there and never forget the oppression that awaits them on the other side of this opportunity. If I were to say one thing to Michelle, founder of Matanya’s Hope, to Debbie and friends (all my sponsors), it is that you have given me a new lease on life. Thank you for choosing me when there are so many you could have chosen. I promise you that I will not ever let you down in my academic pursuance. The sky will forever be the limit of my reach. To all the young girls who might be experiencing what I went through, I have this to say to you; “However long the night becomes, the day is sure to come”. Me today. I am happy to be in nursing school! God bless you Matanya’s Hope and my dear sponsors. This entry was posted in Success Stories on February 3, 2015 by Michelle Stark.